Naturebytes – Digital Learning, Wildlife Conservation and Open Innovation. This talk will explore how Naturebytes has developed its new digital making activities that enable people to experience the natural world around them. We will discuss the example of our DIY Wildlife Cam Kit, a motion-sensitive camera powered by the Raspberry Pi computer, and how it has been developed. Talking you from idea through to electronics, 3D design and printing, and educate people about conservation. Using the Wildlife Cam Kits we are building a community of wildlife digital makers and an expanding network of cameras to generate and share information about wildlife. Jon is a Designer and innovator in disruptive manufacturing technology including 3D design and 3D printing. 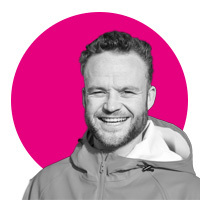 Jon was previously a lecturer of Product Design and Interaction at Ravensbourne, founded a creative design studio ‘Modla’ and has previously delivered designs displayed in the London Design museum, exhibitions at The Science Museum and products for Reebok, Nike and Converse.